Among other things, we have reached agreements with new transportation agencies, and we now have more than 50 couriers fully integrated into our platform. We have also introduced the Pallet delivery option for large quantity or high-volume orders, and we continue to improve the rates for deliveries. 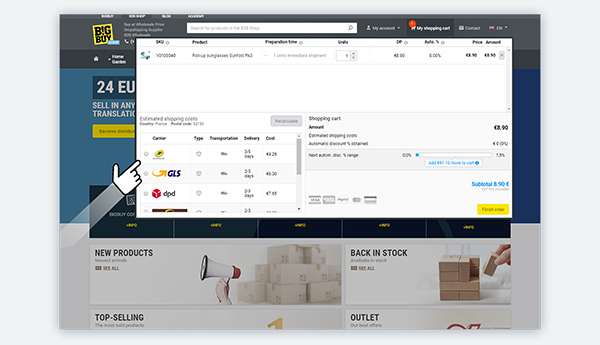 From now on, when adding an order with over 0.8m3 of merchandise to your cart, BigBuy will offer the Pallet delivery option and automatically indicate the estimated delivery time and cost. Pallet delivery is the ideal type of delivery for large quantity or high-volume orders. Remember that this option is only available for unloading pallets, and the customer cannot access the shipping tracking/tracking ID from their Control Panel. Restrictions on materials such as liquids, flammables, batteries, etc. It’s very simple. 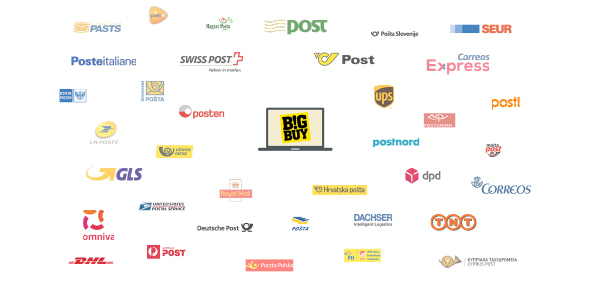 Just add a product to your basket, enter a postcode, and BigBuy will automatically suggest the most suitable couriers for its shipment. 360º Dropshipping Shop: Our turnkey stores are fully integrated and automated. They feature both couriers and their shipping and tracking prices. 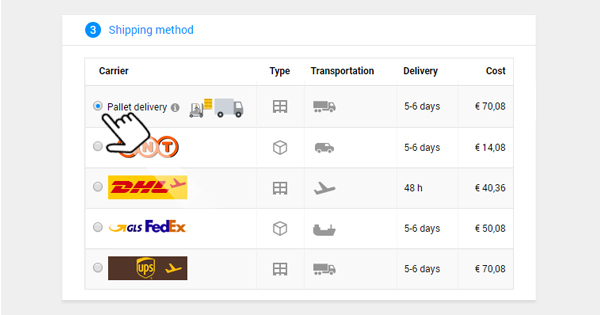 API Couriers and tracking: We also offer the possibility to connect through our API. This option is valid for customers with programming knowledge. Multi-channel Integration Platform: This tool allows you to automate the price calculation and selection of couriers and tracking. This option is for customers who have developed their e-commerce through our platform. PrestaShop module: We also offer the possibility to integrate a module in PrestaShop, which is able to calculate prices and select couriers.